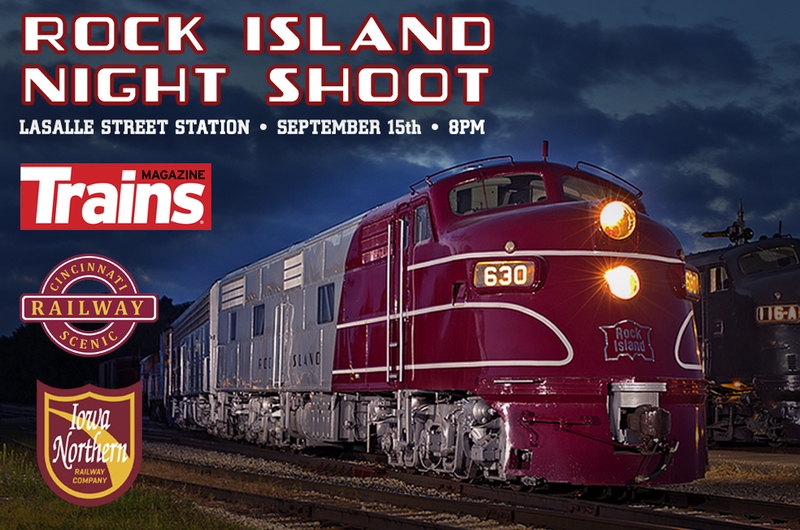 Our planned night photo session with two historic Rock Island diesel locomotives has been cancelled and all tickets are being immediately refunded. Despite earlier assurances, the locomotives ultimately did not pass mechanical inspection by one of four interchanging railroads involved and this defect was not noted in prior inspections. Ultimately, the work to bring the locomotives into compliance cannot be completed in time to permit delivery to Chicago. We're sorry for any incovenience this may cause and are no doubt disappointed that plans did not materialize despite months of behind-the-scenes work and support from the various railroads involved. © 2019 ShowClix on behalf of Fort Wayne Railroad Historical Society, Inc.. All sales are final. Tickets are non-refundable.